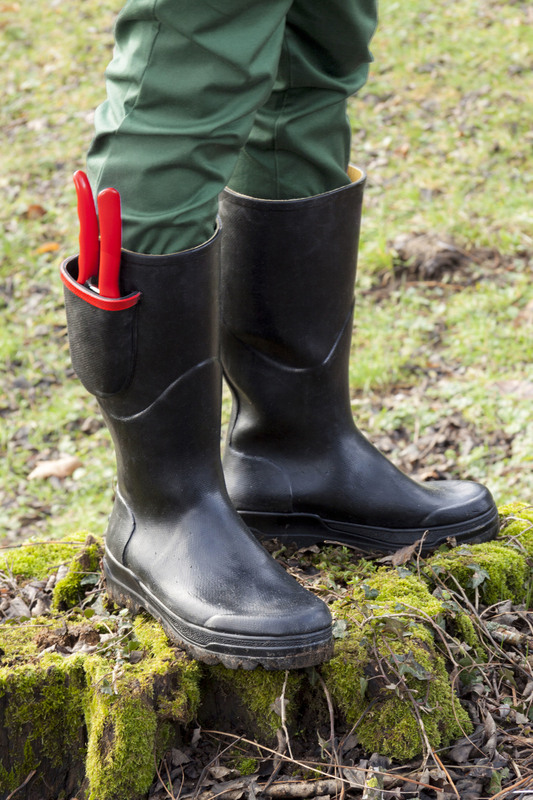 Two main objects of garden are the shears and the boots. They collaborate perfectly that's why they needed to be connected. The location on the boots is the easiest access when we are crouching.